Why does a roofing technician need a pilot’s license? This drone capability saves our clients time, money and worry by being able to pinpoint damaged roof section(s) that trigger water leaks, interrupting day-to-day business or, worse, creating health hazards to their people. Interstate Roof Systems Consultants Inc. (IRSC), a national roofing consultant with offices in three states, has added a high-tech drone with infrared thermography capabilities to its stable of diagnostic tools, expediting the collection of detailed information for customers to help them make decisions about roof maintenance. The new DJI Inspire 1 drone with a Flir Zenmuse XT infrared camera can reduce the time for a roof assessment by 50 percent. The agile craft also has access to angles and perspectives not available via standard inspection techniques, allowing more detailed assessments than ever before. Two IRSC roofing technicians completed an FAA certification process to secure unmanned aircraft pilot’s licenses, a legal requirement to use the drone and put its extensive capabilities to work for customers. The drone technology tremendously enhances project safety, as workers don’t have to navigate rooftop obstacles, dangerous pitches or inclement weather. In one situation, a new facility manager for two commercial/industrial buildings faced recurring roof leaks over an office and laboratory in the buildings. He needed to quickly understand the condition of the roof systems, as water entry was damaging the newly-remodeled laboratory, and creating potentially hazardous conditions with contents stored in its space. 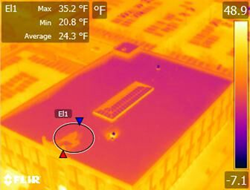 IRSC utilized the DJI Inspire 1 drone with the Flir Zenmuse XT infrared camera to help the manager provide crucial documentation to the organization’s stakeholders, and receive funding to repair the roofs. The organization had not previously understood the severity of the roof’s deteriorating conditions, and was thus unable to resolve the recurring leaks. IRSC completed the assessment in one night, using the drone’s infrared technology, in a scenario that would typically take technicians two to three nights to manually assess. For over 20 years, IRSC has provided roof system consulting services to clients nationwide. Building owners and facilities managers with millions of dollars in roof assets trust IRSC to properly maintain existing roof systems. IRSC experts also design cost-effective roof replacement solutions, create maintenance procedures that reduce future costs, and manage the entire roof replacement process. Dave Velcheck joined IRSC in 2015, and became President in May 2017. Since his arrival, the company has tripled in size, thanks to utilizing new technologies and adding specialized solutions to its suite of services. Interstate Roof Systems Consultants Inc. has offices in New Berlin, Wis., Monument, Colo., and Elgin, Ill. Experience to keep you covered… Nationwide. Interstate Roof Consultants Inc., providing roof system consulting services to clients nationwide.Building owners and facilities managers with millions of dollars in roof assets trust IRSC to properly maintain existing roof systems. 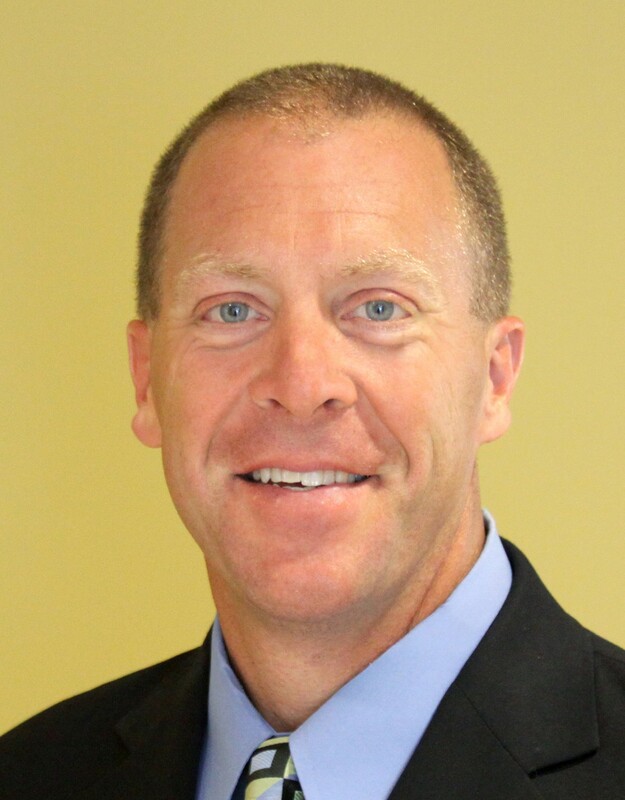 David C. Velcheck, President of IRSC.After joining IRSC in 2015, David C. Velcheck has led the company as President since 2017. The company has tripled in size since his arrival. 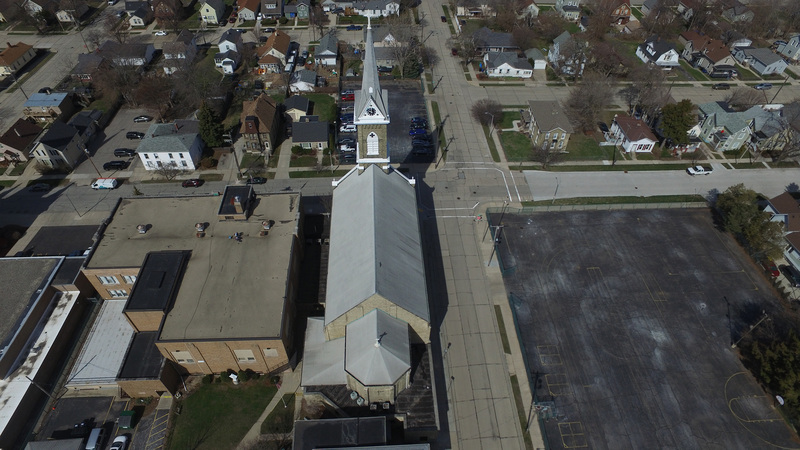 Aerial photo taken from the new IRSC drone and high-powered camera.The agile, powerful DJ1 Inspire drone and its advanced infrared camera create angles, perspectives and insights that allow more detailed roof assessments than ever before.